The cultural uncertainty surrounding the role of women in the 50's is reflected in the movies made at the time. As represented by the femme fatale of film noir, women were seen as threatening and dangerous but also mysteriously alluring. The science fiction of the 50's has a slightly different role for women: the helpless yet unattainable object. This is perhaps unsurprising since even today we fight against stereotypes of women as powerless and weak, but where it gets interesting is the science fiction. Just as every element of a story has its role, purposeful or otherwise, the role of aliens in 50's sci-fi is to stand in as the physical embodiment of romantic roadblocks. See, the problem with the cultural/ideological view that women are inferior is that it doesn't make sense. No, not because they're actually equal to men, that would be silly! The problem is that it leaves open the question of why women aren't constantly fawning over men. If we (men) are superior, why don't they (women) pay attention and/or make love to us? The answer is simple: aliens. The quickest example of this is the sheer number of movie posters with an alien or a robot carrying the limp body of a woman. In the list below there's Forbidden Planet, Invaders from Mars, The Day the Earth Stood Still, and Creature from the Black Lagoon. There are countless examples of this visual motif, but just to make my point here's a random sample of eight (1 2 3 4 5 6 7 8). The message seems to be that we can't have women because the aliens are taking them from us. The strange thing about the pervasiveness of this style of poster is that nothing like that happens during the majority of those movies. 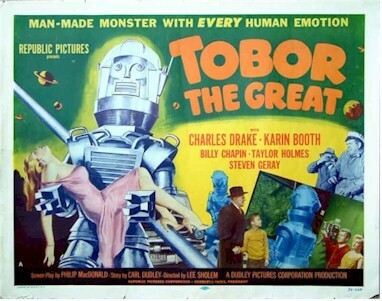 Robby the Robot (Forbidden Planet) is a servent programmed to obey the three laws of robotics and would never do harm to man or woman. 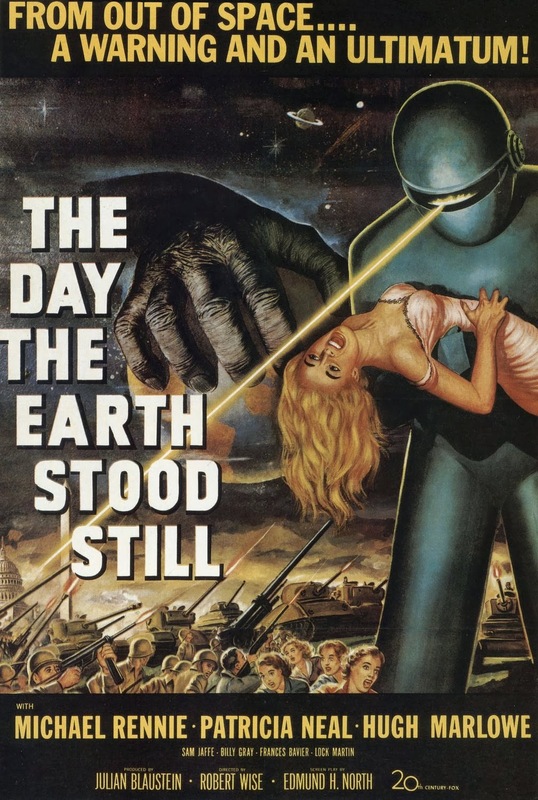 Gort (The Day the Earth Stood Still) carries an incapacitated Patricia Neal, but he does so to take her to safety. Yet these aliens are perceived as a threat to our females. The possibility of an alien invasion movie where the women aren't directly in danger is somehow unthinkable. Of course there's something to be said for the fact that the poster is just there to sell the movie, but even then it just goes to show that the idea is culturally salient. The notion that women need protecting was so deeply entrenched that if we're faced with fighting off a species from another planet we couldn't think of anything better for our women to do than faint and be carried off. While the aliens may not literally capture the female protagonists, they often perform a similar duty emotionally. 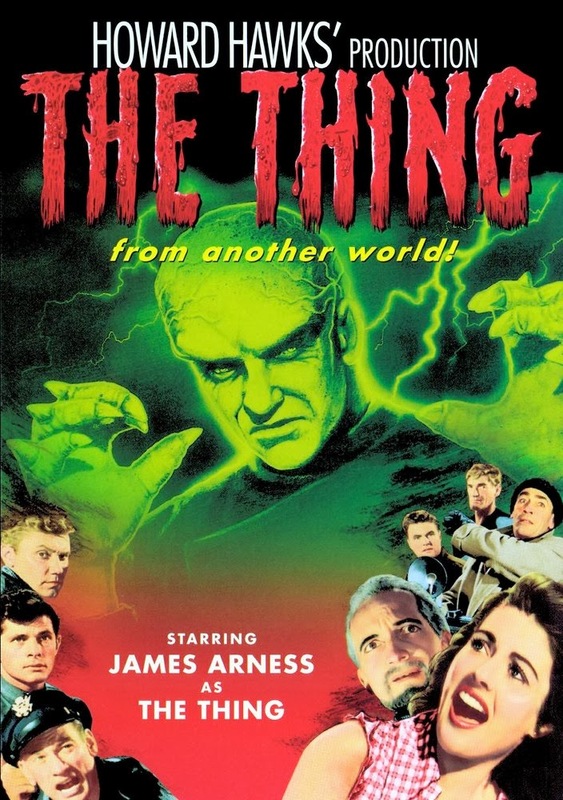 A large percentage of these movies revolve around a couple experiencing romantic difficulties: Steve Andrews struggles to court Jane Martin in the opening scenes of The Blob; in The Thing from Another World, Captain Hendry and his secretary Nikki had an unsuccessful relationship in the past and are forced to confront their issues together; Dr. David Reed from Creature from the Black Lagoon is in a relationship with his colleague Kay Lawrence but refuses to marry her. These movies foreground their protagonists as having romantic difficulties and then the monsters come and complicate everything. At the most basic level they serve as an excuse for these romantic difficulties, while ideologically they stand in for the uncertainty surrounding feminine desire. In The Pervert's Guide to Cinema, Slavoj Zizek gives a reading of The Birds in which the birds embody maternal superego. 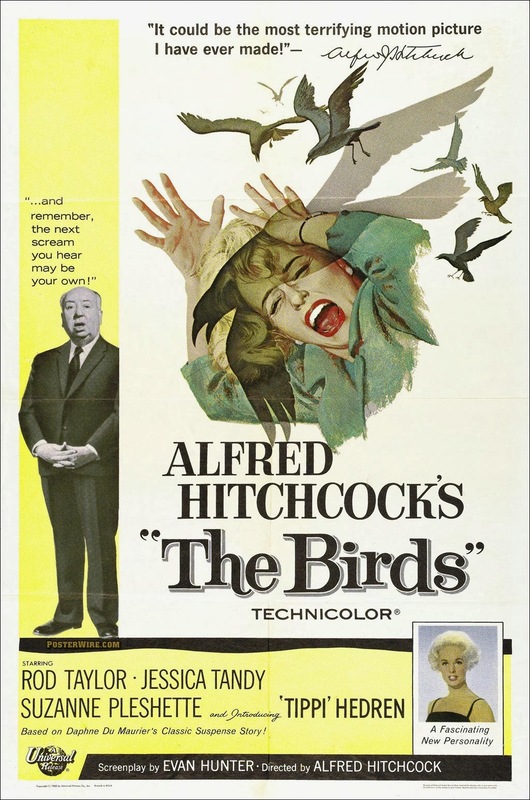 The birds are the manifestation of Mitch's mother's disagreement with Mitch and Melanie's relationship. The bird attacks occur most frequently after Melanie does something which brings her closer to Mitch (e.g. the first attack occurs when she drives a boat to his house). The central question to be answered is, "What is left if we take out the fictional, unreal element of the story?" In the case of The Birds we get a fairly standard romance with a mother figure who disapproves of the match. 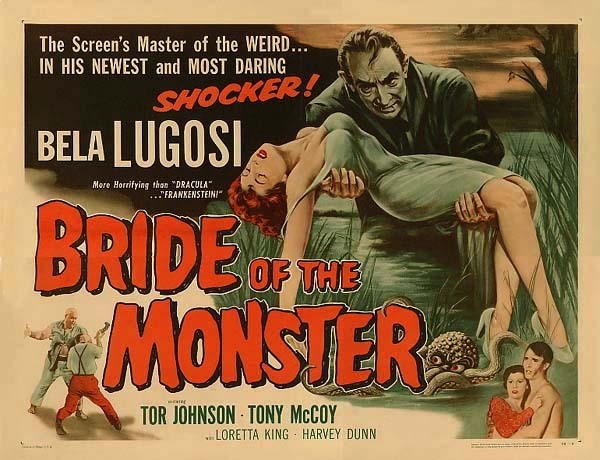 50's science fiction monsters function in a similar way: the frustrations and troubles between the two romantic interests are externalized onto the extraterrestrial invaders. 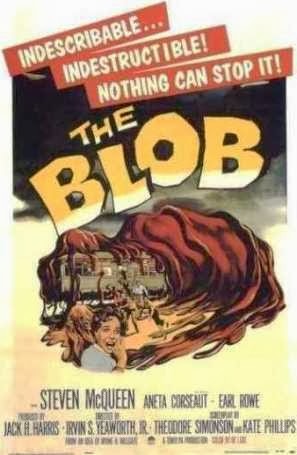 The Blob is the most obvious example of this. 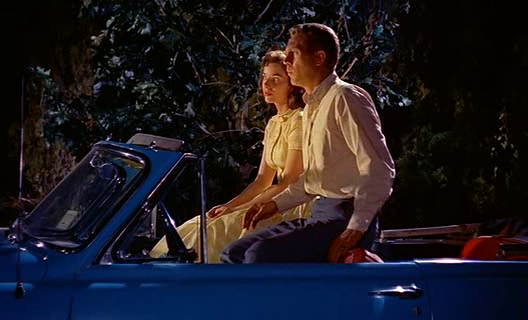 The opening shot is of Steve McQueen kissing co-star Aneta Corsaut, immediately foregrounding their relationship as the central issue of the film. From here Corsaut pulls away and begins a brief argument about McQueen wanting too much from her (sexually) and possibly being a womanizer. They begin to make up, but just as Corsaut says she believes McQueen's story a meteorite containing the eponymous blob crashes to Earth. 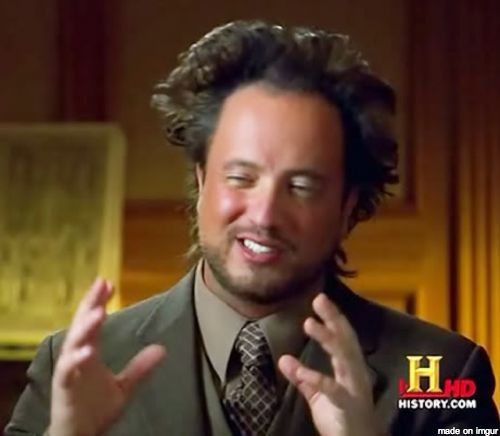 Classical causality is established in the association between the couple's argument and the alien's arrival. There are scenes with varying degrees of similarity to this in everything from Invasion of the Body Snatchers to It Came from Outer Space. In most cases, what remains if you remove the sci-fi element from the story is a romantic paring which struggles to make it together. Maybe the romance is added to the science fiction to keep it interesting, or maybe the sci-fi is added to the romance to make it stand out. But the way the movies play out implies a causal connection between the two elements beyond mere temporal proximity. If you want to be with your sweetheart, first you have to defeat the aliens. Forbidden Planet is the most visually stunning of these movies. It uses beautiful and elaborate sets, matte paintings, and other special effects to create the most convincing sci-fi universe to be seen until at least 10 years later. The story is compelling and the characters will pull you into the drama so effectively you won't be surprised to learn this was a loose adaptation of The Tempest. Also there are veiled references to Freud. What more do you need? 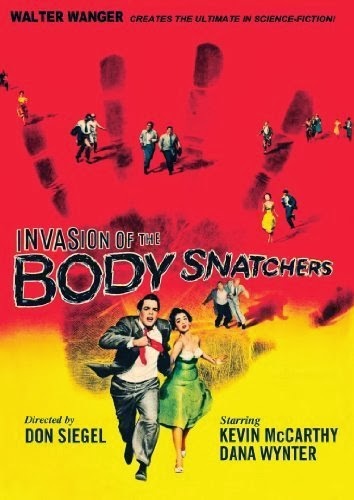 Full disclosure: the 1978 remake of Invasion of the Body Snatchers is one of my all-time favorite sci-fi movies. The Capgras delusion fascinates me, and the way the movie deals with identity is effective and incisive. The black and white cinematography is gorgeous and the acting is better than in much of the rest of the movies on this list. If you'd like to know more about the movie, I wrote this article about it a few months ago. 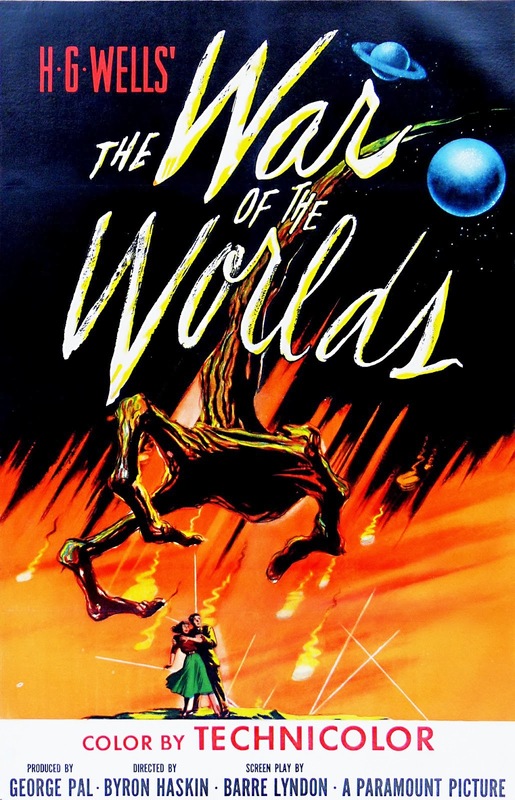 Of these movies, The War of the Worlds was the most action-packed. I watched this late in my adventure into the history of film and I had begun to get bored by the repetitive story and mediocre acting, but this movie was really exciting even for a modern viewer. The special effects are great and only upstaged by Forbidden Planet. My single complaint is that it's more of an action movie and has a bit less thematic impact than the above two. Here we have another classic which has been overshadowed by its amazing remake. However, whereas the two Invasion movies are of similar caliber, the original Thing is more of a B movie than its update. 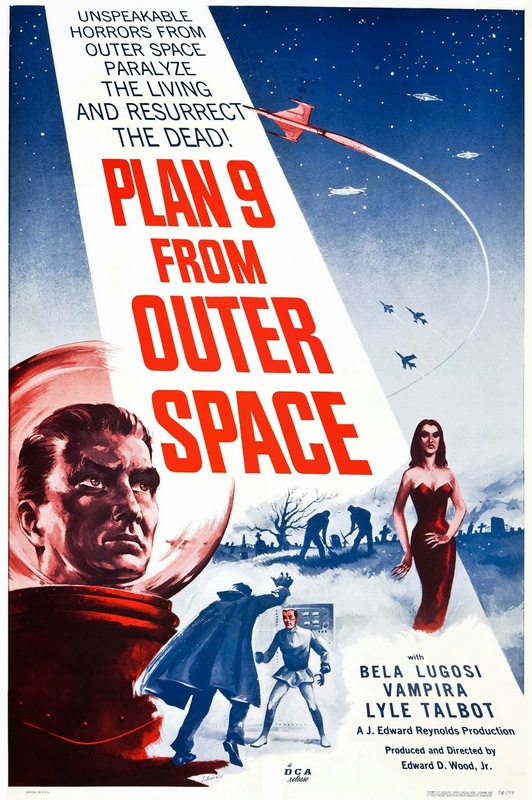 That said, it's leagues ahead of something like Plan 9. There are characters with relatable motivations and a clear story arc which progresses logically. It's cheesy, but it has elements of greatness. 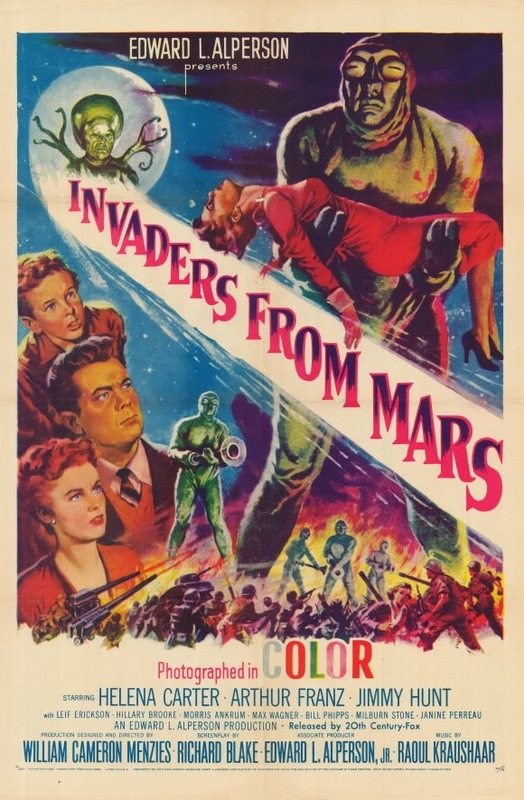 Invaders from Mars was the biggest surprise for me. I had just watched Plan 9 and was convinced the rest of the movies on my list would be garbage, and Invaders turned out to have high production value as well as unique and effective storytelling. There are some awkward moments and the special effects aren't great, but for the most part this is actually an enjoyable, well-made movie. While this may be one of the most influential sci-fi movies of all time, it's not necessarily the most engaging or fun. For me the amazing montage of the worldwide failure of everything electronic or mechanical didn't make up for the cornball elements of the little kid showing Klaatu a variety of US national landmarks. It may have started a new generation of film, but it was quickly overtaken by what followed. This movie was another pleasant surprise. 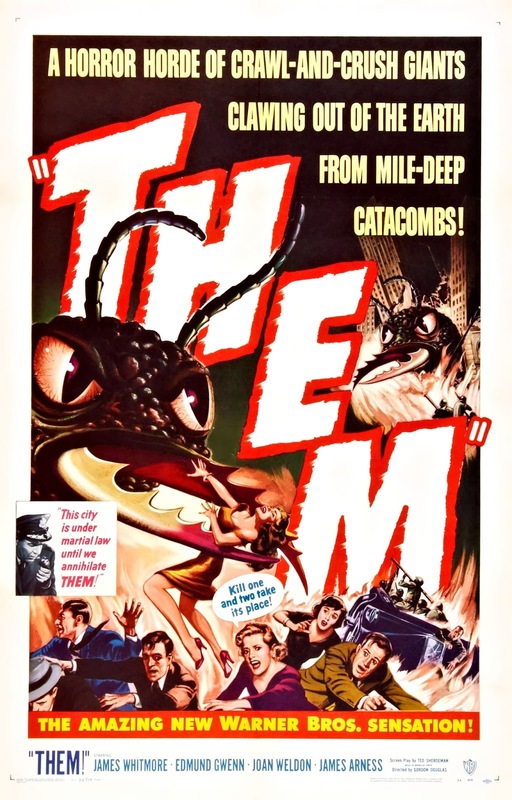 I see giant ants on the cover and an exclamation point in the title and instantly I expected a B movie with some poorly integrated stock footage of ants. Not the case. Large scale ant models were made for the film with fully articulating limbs and antennae. 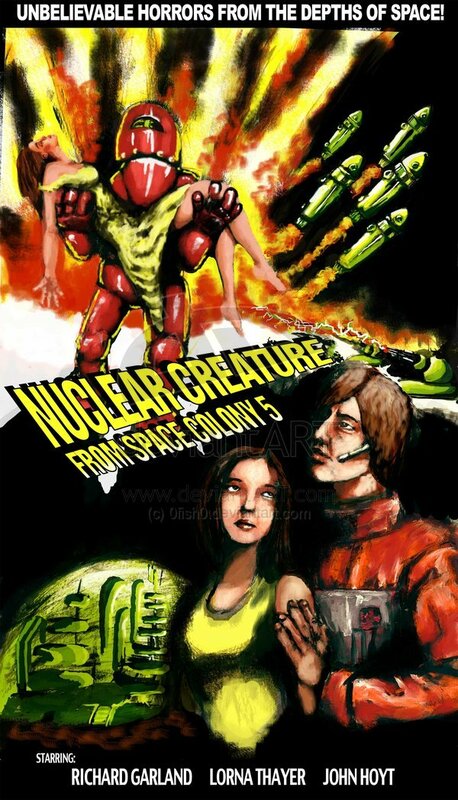 The story also wonderfully reflects the tension of the cold war and fear of nuclear weapons. The Blob is the last movie on this list with any semblance of character development, and for that it maybe deserves a slightly higher place. But while character is necessary to drive dramatic tension forward, you also need actual dramatic tension, and this movie just feels too slow. The final climactic scene was great, and while the rest of the movie wasn't bad, it just didn't pin me to my seat. This movie seems to have the strongest cultural presence of all these films. It was also the only movie without a modern remake that people I talked to had heard about. 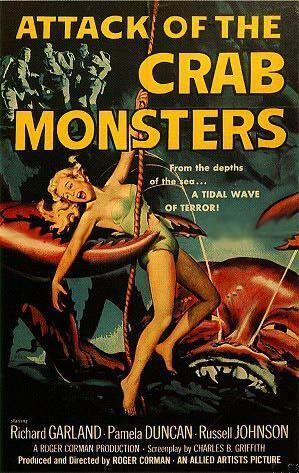 The monster suit is pretty great and the story moves along quickly enough, but this is undeniably B movie territory. If you're in the right mood it can be an unbeatably fun time, but don't go into it looking for serious sci-fi. 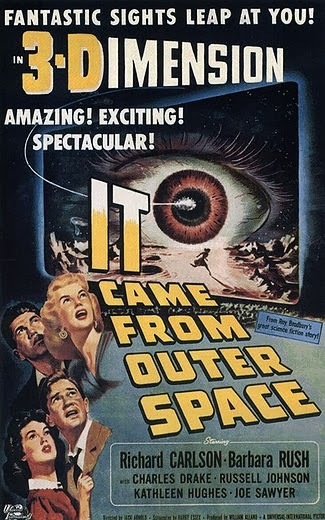 At the end of the day, It Came from Outer Space was the most forgettable movie on this list, even more so than Plan 9. It wasn't bad enough to be annoying on the one hand or funny on the other. It has some pretty good special effects and may have the earliest instance I've seen of monster vision (an artificially altered POV shot from the monster's perspective), but it's just not quite as good as the rest of these classics.